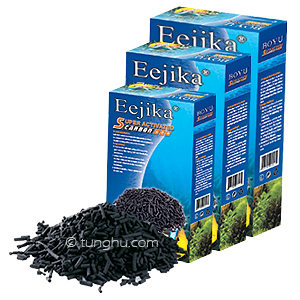 The activated carbon acts as a great chemical filtration media. Having the perfect absorption ability, it purifies the water by eliminating the organic compounds, undesirable colors and odours. With activated carbon being the filtration media, we made our choice to use the top quality carbon to achieve the optimal effect. Simply choose the amount that you desire, place it into a filtration bag and throw it into the tank. It's just that simple!